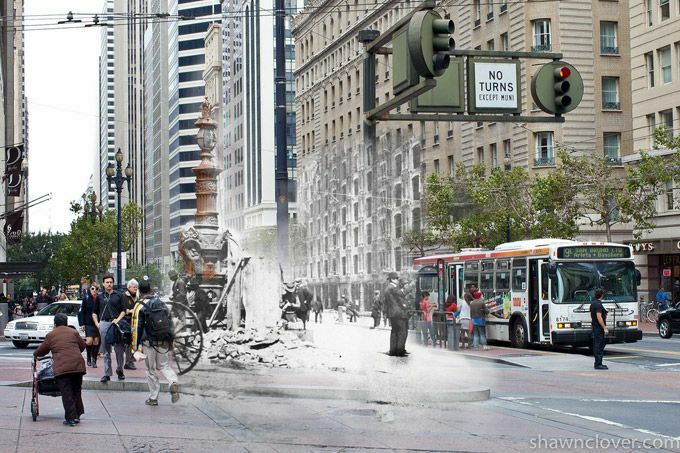 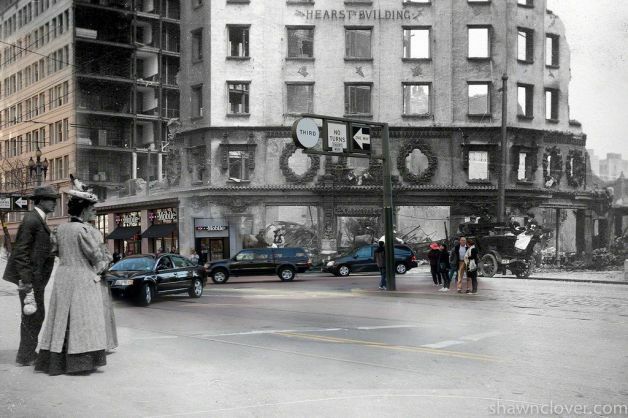 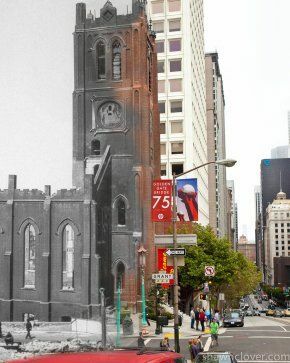 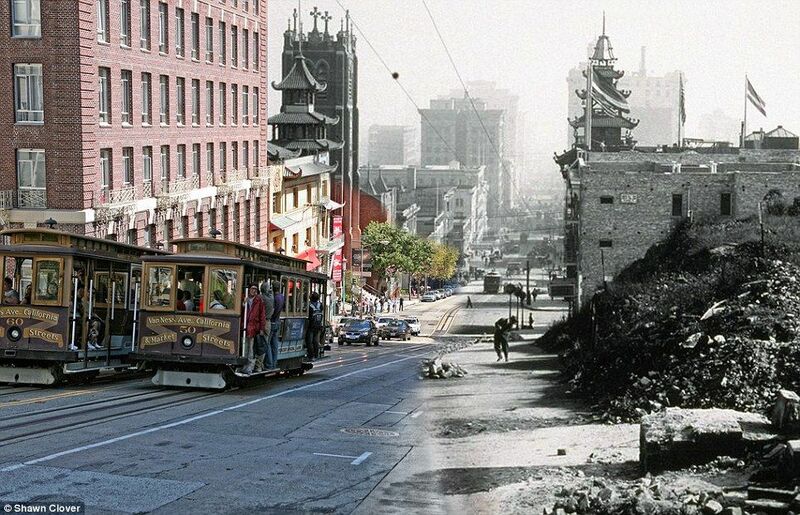 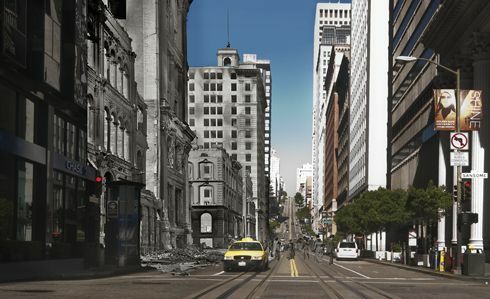 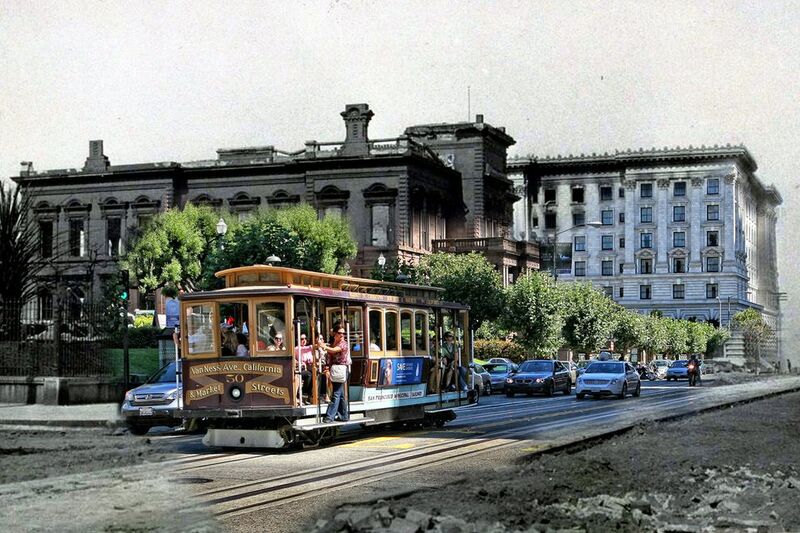 “In this series of carefully photoshopped images, photographer Shawn Clover created composite photographs that blend historical scenes from the 1906 San Francisco earthquake and his own present-day captures of the same locations. 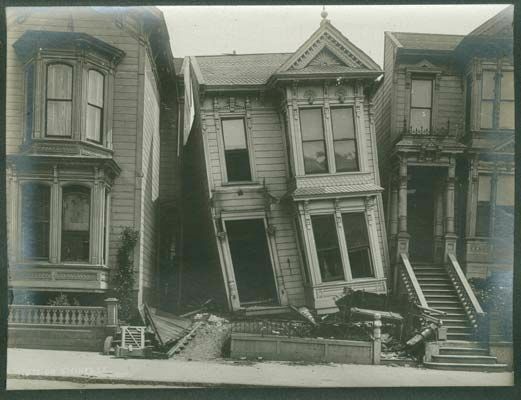 On April a devastating earthquake struck San Francisco and the coast of Northern California. 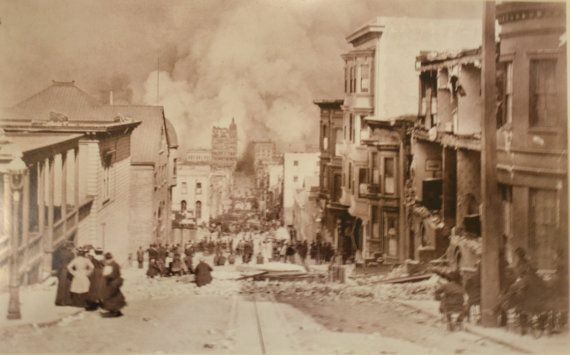 Fires across the city broke out, ravaging the city for several days. 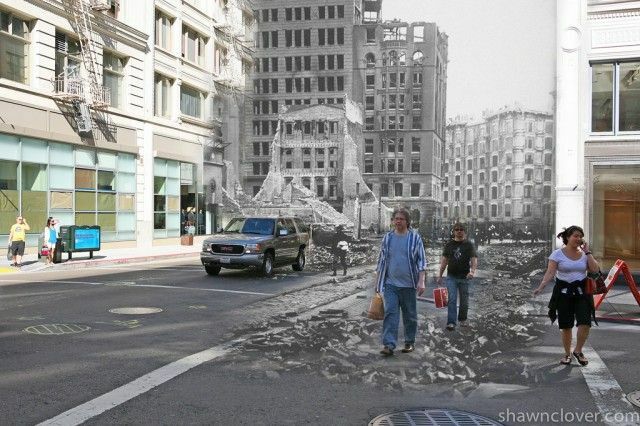 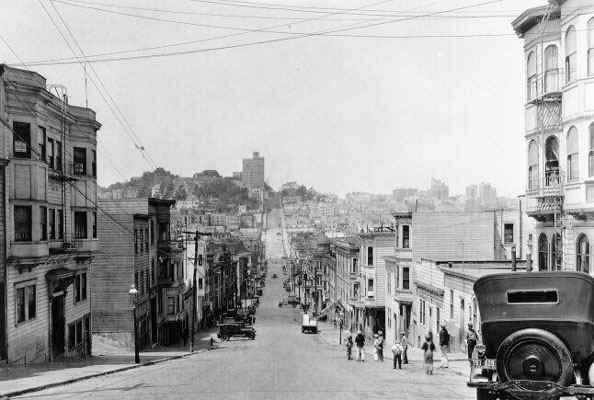 As a result, about people died and of San Francisco was destroyed. 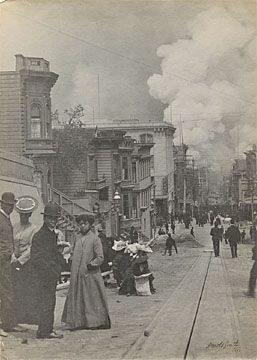 The Hearst Building on Third and Market streets caught fire after the earthquake struck. 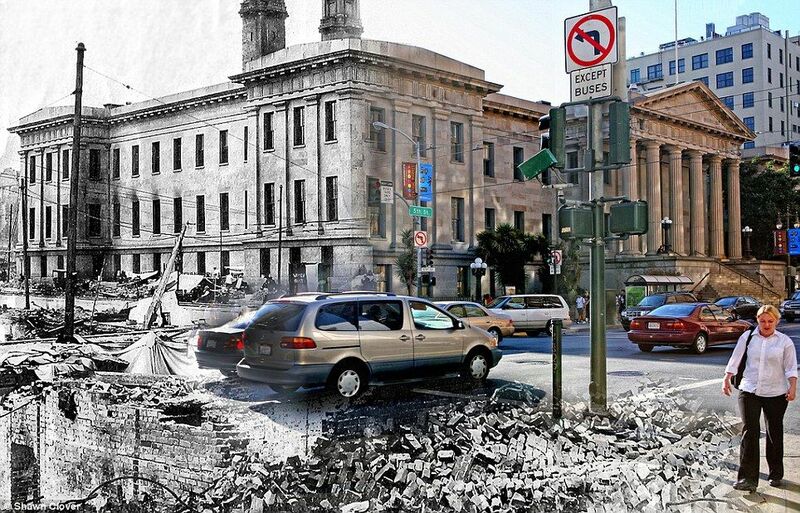 Photo illustration by Shawn Clover.